Guardian Solid Roof – What is it, Why should you be interested & where is your nearest installer? 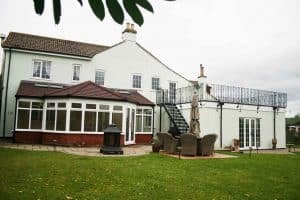 With conservatories costing more and more these days and many of us opting to improve our home with the addition of a conservatory, you want to make sure you can enjoy it throughout the year, right? In most cases conservatories are installed with either a Glass or Polycarbonate roof which can cause a variety of problems and leaves conservatory owners unable to use their new conservatory throughout the year due to poor heat retention and heat regulation. Why buy something if you cant use it all the time? Our thoughts exactly, that’s why we offer the Guardian Solid Roof which is called the Guardian Warm Roof, This serves as a replacement conservatory roof and allows you to enjoy your conservatory no matter the weather for 365 days of the year! This post is here to shed some light on the roof, outline what it is, why you should think about investing in one and how you can find your Guardian Warm Roof Approved Installer today! If you have any questions about the Guardian Solid Roof or any of the other products on offer here at Guardian Roofs then please get in touch with a member of our expertly trained team today and we will be happy to help. Think of the Guardian Solid Roof as the answer to all of your concerns with traditional glass and polycarbonate conservatory roofs. After many years of experimenting, developing and researching we are able to offer one of the most energy-efficient conservatory roofs on the market which is able to produce a U Value as low as 0.18. But what are U Values? We will explain. U Values measure how efficiently and effectively material is as an Insulator. In this day and age, it is important to be mindful of our carbon footprint and also the carbon emissions that our houses produce. U Values are used to help us keep track of our emissions and is something that the Government uses to assess buildings during the design of a building or in this case a conservatory. What do U Values mean for you? Now that we know what U Values are how does this low value produced by the Guardian Solid Roof help you? It does three main things; keeps your costs low, provides you with better comfort and ensures that your conservatory is eco-friendly. The Guardian Warm Roof is able to lower costs for you because of the great insulation properties. This means you can spend less on heating and more time enjoying the conservatory. 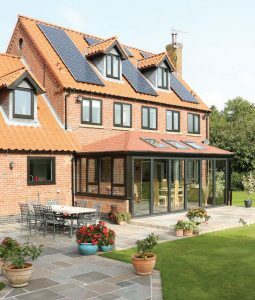 Having a solid conservatory roof also helps improve the comfort of your conservatory by reflecting over 80% of the solar rays that hit the conservatory, allowing you to enjoy the conservatory even during the brightest days. Because of the Guardian Solid Roof your carbon footprint will drastically be reduced, resulting in your home becoming more eco-friendly. Why Should you be interested in the Guardian Solid Roof? 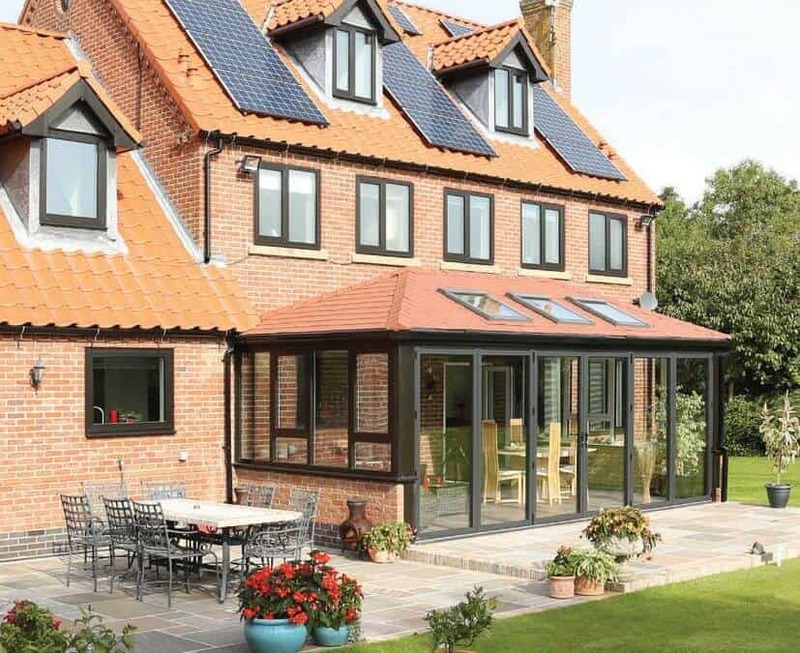 The Guardian Solid Roof not only transforms the exterior of your conservatory but it also transforms the interior providing a well-needed block between the solar rays from the sun and the inside of your conservatory. The Guardian Solid Roof is an investment in your home and can improve the resale value of your property too. In addition to this, the Guardian Warm Roof is built with Longevity in mind and ensures that the roof will stand the test of time. If you do experience any problems with your Guardian Solid Roof we provide a 10 Year Insurance backed Guarantee with all of the Guardian Roofing Systems. So, any problems we are here to help! 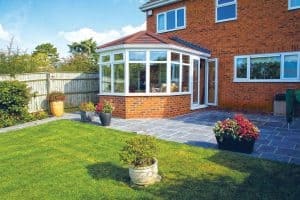 Another reason that you should consider the Guardian Solid Roof is the customisability of the roof – we are able to tailor the roofs we offer to your needs and requirements – we have a variety of styles, shapes, roof finishes and can create custom shapes that are perfect for your home and Garden. If you think that a tailored Guardian Roof would be ideal for you then the best thing to do would be to get in touch with a member of our team and discuss your options in greater detail with one of our specialists. Now that you know what exactly the Guardian Solid Roofs are, why you should consider one and a bit about the technicalities – what do they actually look like? Below, are some examples of the Guardian Solid Roofs that we have completed over the past few months. You can find your nearest Guardian Warm Roof Approved Installer by heading over to the link provided – we cover the whole of the UK and have dedicated Team Guardian members who will be your point of call. We provide a second to none service and pride ourselves on improving the standards within the conservatory roofing industry. Our installation time is exceptional and if we start a conservatory on the Monday of a week it will be finished by the Friday of that week. We recommend allowing between 3-5 days for installation time once the roof has been made in our warehouse. We hope this has been of use to you and you are know more knowledgeable about the Guardian Solid Roof – If you have any questions about the Guardian Solid Roof then please get in touch with a member of the Guardian Roofs team today and we will be happy to help answer any questions that you may have!